Danny Pettry had originally written this review in 2012 as part of graduate school assignment at Lindsey Wilson College, (Ashland, Kentucky campus). 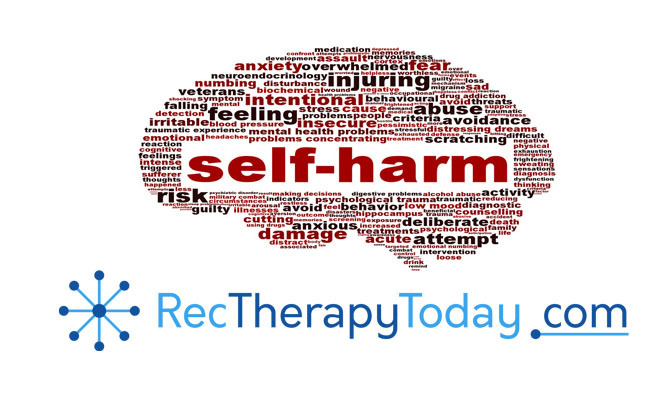 Non-Suicidal Self-Injury (NSSI) behavior primarily consists of harming one’s own body without the intent to die. Cutting self with the use of a sharp object is the primary NSSI behavior. However, it also includes: hitting self, biting self, scratching self, and burning self. It is a growing problem among adolescents. Marsha Linehan’s Dialectical Behavior Therapy (DBT) has shown to be effective in helping teens to decrease NSSI behavior. Research has shown promising results from the use of DBT. Adolescents with NSSI are often associated with several factors. These include: a.) lacks social problem-solving skills; b.) more likely to have experienced a traumatic event during childhood; and c.) more likely to have had a history of abuse, neglect, or being mistreated. Choate (2012) identifies several positive reinforces that could encourage an adolescent to participate in NSSI. These include the following: a.) Affect regulation: Used to block negative emotions or cope with stress; b.) Antidissociation: to help them feel “something” instead of being “numb;” c.) Self-punishment: a sense that they need to punish self (as a cleansing); d.) Establish interpersonal boundaries: to increase a sense of self-control; e.) Interpersonal influence: to communicate that their pain is real, to gain attention, or to fit in with the peer group; and f.) Sensation seeking: Associated with a release of endorphins. The counselor has several important roles, including: “instilling hope, encouraging the client, and focusing on strengths (Choate, 2012).” The research-based DBT program consists of 16-weeks. a.) Increase skills needed for: interpersonal effectiveness, self-regulation of emotions, and distress tolerance skills. c.) Help the adolescent to identify sequence behaviors that lead to NSSI. Mindfulness: Teach the adolescent how to be in control of one’s own thoughts. There are three states of mind that are taught including: a.) rational mind; b.) wise mind; and c.) emotional mind. Emotional regulation: Teach adolescent healthy skills (eating right, sleeping, exercising) to help them be less vulnerable. They are also taught to participate in an activity that provokes the opposite emotion. For example if a person is feeling upset, she could participate in activity she enjoys that promotes positive emotions for her. Interpersonal effectiveness: Teach the adolescent how to improve relationships with others. There is an acronym called “DEAR MAN,” which refers to: a.) Describe what you want; b.) Express with an I-statement; c.) Assert; d.) Reinforce positives of request; e.) Mindful of what you want; e.) Ask for feedback, and f.) Negotiate. Distress tolerance skills: Teach the adolescent health appropriate ways to cope, including: a). use imagination; b.) prayer; c.) relaxation, d.) being mindful; e.) take a mini-vacation; etc. Walking the middle path: Teach the adolescent have balance in his life. This is for polarized thoughts and behaviors. Here is an example: find the middle between completely pushing away (being in denial, not able to fix it) vs. holding on so tight to feelings (not able move forward). DBT has been show to be effective at helping teens with NSSI. There are many elements of DBT that can be applied to Recreational Therapy practice.Recreational therapists can and do teach: emotion regulation skills, interpersonal skills, mindfulness, and distress tolerance skills. Recreational therapists may want to consider learning more about DBT.